Holidays in Santorini are a magical experience where visitors get spectacular landscapes, picturesque villages, breathtaking sunsets, wonderful beaches, delicious food and excellent accommodation. You will see that most of the hotels are located in three very popular villages, Fira, Oia and Imerovigli. 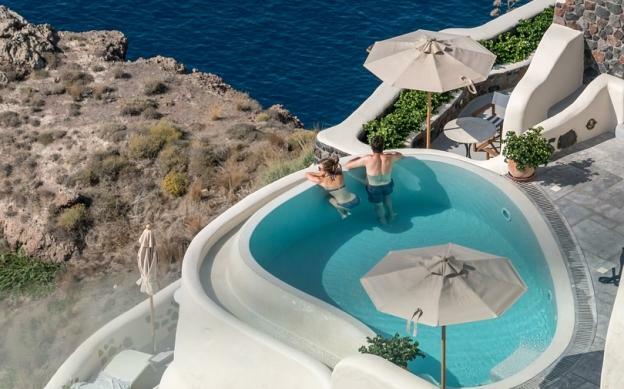 Fira is capitol and the most cosmopolitan on Island and that is way Fira hotels are among hottest options for Santorini holidays. Santorini has a huge number of hotels, but hotels in Imerovigli are as close to perfect as you will find in Santorini. Imerovigli hotels are settled on the so called ‘balcony of Santorini’. 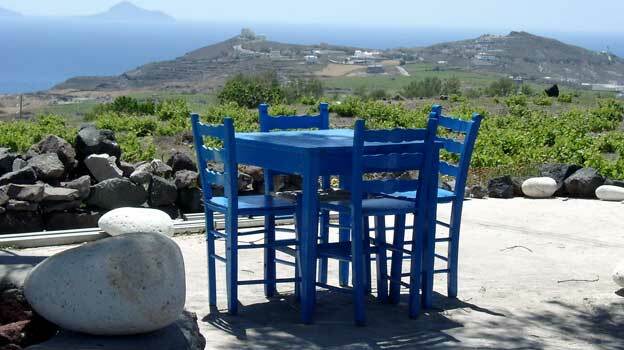 Village of Imerovigli is the highest point of Caldera, overlooking the famous Skaros rock, volcano and beautiful Aegean. There are many beautiful and traditional villages on Santorini, but Oia is heart and soul of the Island. Famous for its spectacular sunsets, Oia is known as one of the most romantic and beautiful places in the entire world. Vacation in Santorini is a real time experience and you will find everything amazing and magical. But first of all, in order to enjoy all this beauties, you have to find appropriate accommodation in Oia. Hotels in Oia are going to cost you little bit more, compared to the other places in Santorini. Visitors will find wide variety of hotels in Santorini. Santorini hotels, apartments and accommodations looking like caves, which was the style of houses few decades ago. Today, combined with modern contemporary interiors, those houses became luxury accommodation for tourists from all around the world. You can spend time on a pool deck, having your favourite cocktail with beautiful scenery that spread all around you. For those who prefer swimming in the sea, car rental is needed because beaches are situated on opposite side of island. Most of the hotels in Santorini open in at the beginning of April and close at the end of October. The hotel rates may vary depending on the season. You will find best rates in April, May and October. Mid season is in June and September and high season rates apply to July and August, which are two busiest months in Santorini. Most of the hotels in Imerovigli open in at the beginning of April and close at the end of October. The hotel rates may vary depending on the season. You will find best rates in April, May and October. Mid season is in June and September and high season rates apply to July and August, which are two busiest months in Santorini. Today anyone can afford holidays to Santorini and spend their vacation in one of world top destinations. In last decades Santos became very popular for wedding ceremonies and honeymoons as well. Most of hotels in Santorini will make all necessary arrangements for your special day. Memories of weddings in Santorini are really something that you will never forget. Maria, the author of the “Santorini Hotels – The best of Fira Oia and Imerovigli” is a Greek travel blogger who lives in the beautiful island of Santorini.